You are currently browsing the archives for December 2014. Below is just a snippet of January’s newsletter. If you subscribe or go to my website you will have access to the astrology section, monthly raffle and a variety of other goodies! 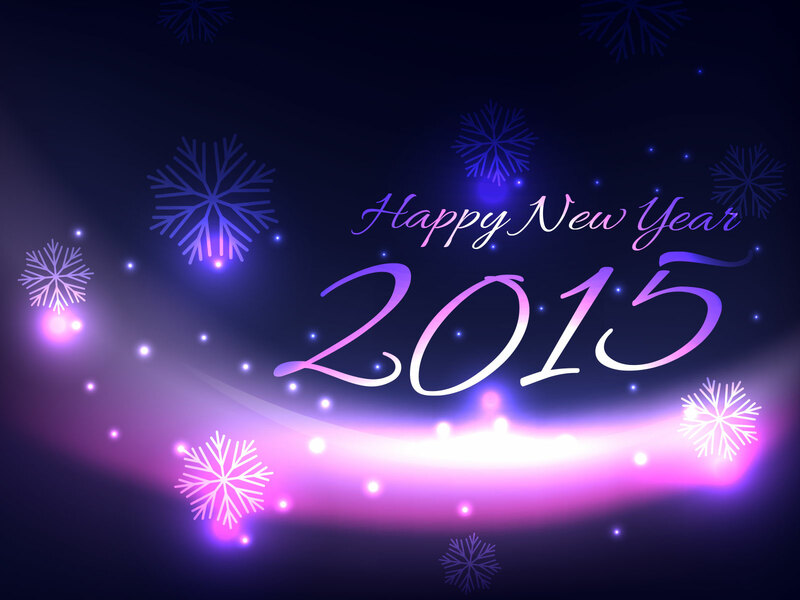 Happy 2015 and Happy Hogmanay everyone! Many of us have been feeling the winds of change in our lives and 2015 will see a continuation of this. We spent the last few months of 2014 releasing the old and reviewing our situations. 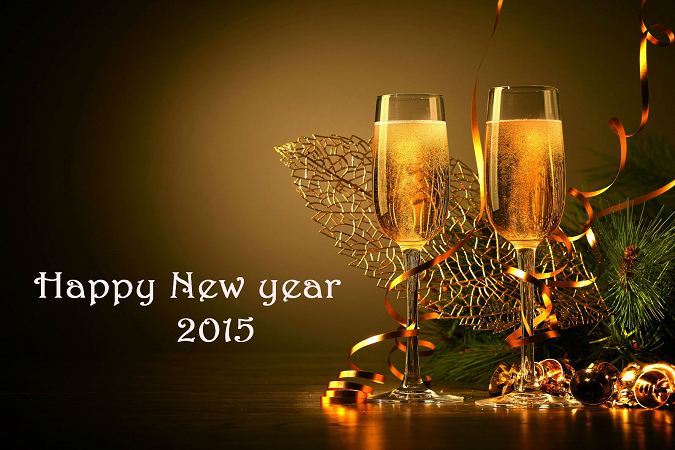 2015 is time to put those new ideas and dreams into action. 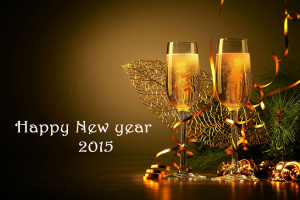 The New Year is always a good time for looking ahead, making changes, and letting go of the old from last year. And it’s a great time to have a New Year Outlook Reading to help get a glimpse of what is ahead for you this year. You can find my special New Year’s readings in the Monthly Specials section along with a few other inspirational readings to help bring balance into your life. You can have a browse through the many specialized readings I offer on the Tarot Readings page. Tarot’s Life Path & Personal Growth section is a good place to start! Or take a wander through the various Oracle readings on my site, like Rune, Angel, Faery and Animal Totem readings. All of these categories can be found on the main Reading Room page. I’ve started a new Blog that you can find at http://earthspirittarot.com/wp/ I hope to be writing on a variety of topics from Tarot to general spirituality topics once we get into the New Year. But for now you can catch my weekly Astrology updates there. Congratulations to you both! I’ll be sending you two an email to tell you how to claim your prize shortly! For those who haven’t entered the raffle yet, each month I select 2 random people from entries submitted to win a reading of your choice worth up to £15.00 from any area of my site. For more details, and to enter January’s raffle, stop by and visit the Raffle Entry page! Good luck! Good afternoon all! I hope you all had a lovely Yule/Christmas/Hanukkah. We got a bit of snow here in the UK and it is freezing out there! We are also 3 days away from the end of 2014. This is usually the time when most are recuperating from the holiday rush and travelling, and some are making those New Year’s resolutions. The planetary energies have been along the lines of clearing out the old and making ready for a new way of perceiving things. Let’s take a look at what these last few days of 2014 hold and how the first few days of 2015 are shaping up. We have an Aries Moon working away for Sunday and many of you may have had a restless night’s sleep. With the Moon in Aries we’re motivated by a strong desire to start fresh. We get this gut instinct to start something new, as well as the motivation to do so. Our pioneering impulses are strong as well under this influence, and we tend to feel more energetic, spontaneous, and enthusiastic. This energy will be with us for the next couple of days and it a fitting energy with a fresh New Year laying before us full of possibilities. The start of this week is going to be a fairly quiet one in the skies. The busy Moon in Aries from Sunday will help us to get things cleared up and contemplating what we want to do or change in the New Year. Monday is a quiet one otherwise. On Tuesday we have an early morning Void of Course Moon before it slips into that homey sign of Taurus. Wednesday, New Year’s Eve is also a quiet one aside from the energies of the Taurus Moon, which is good for enjoying those sensual pleasures…not a bad energy for ringing out the old year and ringing in the new. Thursday, the first day of 2015 has an opposition between Mars and Jupiter where both inspired action and brash overconfidence are characterised under this transit. Something to bear in mind is that, for up to a week prior and a week after this date, many may find that their energy, libido, anger, and ability to take action are amplified. Not really a bad thing but in some cases it can be so amplified that we try to push ourselves beyond what is actually realistic. Or some may feel unable to cope with what are reasonable boundaries that are meant to keep them from getting out of control. To get through this we need to find that fine line of balance between our desires (ego based) and what inspires us spiritually. In the early evening we will hit a Void of Course Moon before it moves into Gemini where we want to communicate and explore that which makes us curious. It’s a good time for interacting with family, siblings and close friends. Friday is a quiet day for us as we shift into the weekend but we have some aspects in play come Saturday. The Sun will be in a square with Uranus for a start. Under this challenging transit our world can experience some shake-up’s as the Universe decides it’s time for change and time to make things a bit more “interesting.” This is our wake-up call folks and it is designed to loosen us up from old habits and cycles that keep us stuck or inhibited in life. The Sun will also be in a conjunction with Pluto later on in the day. This brief transit exudes power. We gain a sense of determination that is formidable and we just won’t put up with any interference from others. We could experience a battle of egos or more arguments than usual under this energy. This is a great energy to work with though if you really need to get something constructive done. We tend to not want to give in or give up. For those of us who don’t currently have a burning passion in their lives, this could be a day that awakens (or reawakens) our deepest drives. The big player for Saturday however is the shift of Venus from Capricorn to Aquarius. Under this sign our values, relationships and material abundance take a step back in order to gain fresh perspective. We become detached from these areas so that we can catch our breath so make sure you use this time wisely. Sunday brings a few aspects into the mix. Venus will be sextile Saturn where we are more likely to find a bit of stability in areas like our relationships and finances, especially if we are more willing to be realistic and negotiate. We become more disciplined where spending and our budget are concerned, so this is a good day for really having a good look at your finances and how to maximize, enhance or add to your current resources. The Sun will be sextile Chiron as well, giving us an opportunity to mend and heal the chronic struggles we face in our lives. Here we can find a new sense of motivation, confidence and inspiration that will inject us with the enthusiasm we need to reconcile those problems in our lives that are persistent. Communications planet Mercury will be joining Venus is Aquarius. It’s a good transit for anything that requires an analytical, scientific, or “think outside the box” approach. We now get the chance to look at those familiar old situations with fresh eyes. One thing we need to keep in mind is that this energy isn’t the best for situations that need a more subtle approach and we are more prone to just say what needs saying and worry about the consequences later. Some things to keep in mind for the upcoming week is that Mercury will be going retrograde near the end of January but enters its shadow on the 5th, This means that Mercury will be in Aquarius longer than usual, over 9 weeks. Early this morning the Moon left her Void of Course, moved into Capricorn and began her New Moon lunation. The Sun is also in Capricorn and, when we have the Moon and Sun aligned in the same sigh, it can become a powerful energy portal that opens up to us. With all of the other planetary energies drawing us towards change, this is akin to us being on a path, feeling it’s the right direction but the scenery is new and unfamiliar to us. Then suddenly…..BAM…an obstacle (or maybe a stepping stone) lies before us that we are uncertain of. We know our destination is just past that obstacle but the uncertainty makes us pause and look for an easier path. When it gets down to it, we have to make a decision. And that decision will need to be based on what we can see before us, our own common sense, and our experiences from past decisions. Choose wisely, because once you move forward you will need to be committed to that path. Back to the New Moon! Remember that those three days before the New Moon is known as the dark of the moon. This is usually a time when no magic is performed. It’s meant to give ourselves a break, to rest and regenerate. A time for vision quests and deep meditations. Many say that during a New Moon they feel empty or void. And this is the time when we need to sit quietly and allow the Universe to fill the empty vessel we are. Some great ideas and realizations can come along during this time. Some have experienced profound insights. So it can also be a great time for working with psychic abilities. In Capricorn we become aware of the need for structure and planning ahead. We also instinctively are aware of the limitations of time. We are motivated by a desire for success. Achievement and manifestation are most important to us now. We are resourceful and don’t want to waste time, energy, or resources. This can be a very sober influence–even a depressing one. However, it can also be a productive time when we look reality in the face. When the Moon is in Capricorn, we’re more serious minded. It’s harder to just hang out. We want to feel productive on something that has substance to it. These days are great for pushing past difficult obstacles. We’ve got extra discipline and patience. And we’re able to forgo the satisfaction of short term gains for longer term achievements. There’s more social reserve, and we like to have common goals. It’s a conservative mood that makes us thriftier, looking for more bang for the buck. This gives us an eye for what’s solid, and has enduring value. We’re more apt to choose the tried and true now, over something experimental. When in doubt about it, we’ll pass it by. This lunar mood puts the focus on real world ambitions. We might spend our time mapping out a business plan. It’s timely for considering what’s a good investment of your time, energy and resources. What will bring a solid return? Everything is viewed through a practical eye, including relationships. We can see how to make structural changes that make life more efficient. Things to do under the Capricorn Moon: meeting with clients or collaborators; putting together a proposal; considering investments; acting or speaking with authority; working with a mentor or “mentee”; upholding a longstanding tradition; taking control of a situation. Winter Solstice and Yuletide blessings everyone! The end of 2014 is nearly upon us and many are still doing that last minute holiday shopping. Those who are travelling, be safe on your journeys! This Sunday has a lot happening with the Sun entering Capricorn, Uranus turning direct, Mars sextile Uranus, and Venus sextile Chiron. We are also getting ready for Monday’s New Moon. Let’s take a closer look at Sunday first. Sunday has a noontime Void of Course Moon happening which can make us all feel a bit “iffy”. With the New Moon and the Sun both entering Capricorn over the next 24 hours, we get that need to organize and set things right. Saturn is in its last stages of Scorpio influence as well, which indicates one final clean-up of any old emotional issues, connecting with fears, and healing any old wounds. Keep in mind that we are preparing ourselves to step into the New Year with a new level of understanding as we expand our system of beliefs. We have a lot of strong fire and earth elements in play right now which will help us in bringing our creative ideas into the physical world to manifest. Also keep in mind that we have Jupiter and Mars in Aquarius and Leo, which brings a need to open our hearts yet stay disconnected from the usual holiday drama we tend to encounter around the holidays. Uranus turning direct makes us want to break free from anything holding us back now too. Monday brings the Moon into Capricorn in the wee hours of the morning, before starting her New Moon lunation. Capricorn is more focused on building solid foundations for those higher ideals to be brought down to earth. Tuesday brings Saturn into Sagittarius which brings an uplifting vibe where we can improve our ability to take risks for ourselves. It also adds to that ability to take our thoughts and make them a reality. This is more like Saturn dipping its toe into Sagittarius though, because it will retrograde back into Scorpio mid-September of 2015, bringing a final clean-up for us. On Wednesday, Christmas Eve, the Moon moves into Aquarius, where we focus on group activities but feel less like emoting and can feel more detached. We tend to feel drawn to the new and unusual at this time too. Something to be aware of from Xmas eve to Xmas day is that Mercury will be making some challenging aspects to Uranus and Pluto, which tends to bring traffic and transportation difficulties, so use caution if you are travelling. Thursday, Christmas Day starts with a quiet Void of Course Moon, making the atmosphere a bit more introspective. Those who are in bustling and loud environments may find themselves wishing for some quiet. Friday, Boxing Day in the UK, has a Pisces Moon and a more fun vibe to it. It may be a good day for getting out with friends and going to a movie. Saturday has a Void of Course Moon happening and isn’t the best day for shopping, if you were planning to do so. We have a Sun sextile Neptune transit as well which can bring our attention towards the blessings in our lives and has a nice flowing energy. It’s a good transit for pursuing mystical and spiritual matters, which is where our thoughts seem to drift at this time. On Sunday we have the Moon entering Aries bringing an emotionally cathartic few days. As we enter this phase of emotional directness and impulsiveness, one marked by forceful and powerful feelings, we tend to gravitate towards emotional beginnings, a fresh start, perhaps the establishment of new habit patterns – so make sure they’re good ones, because they’ll set the tone for you for quite some time to come! 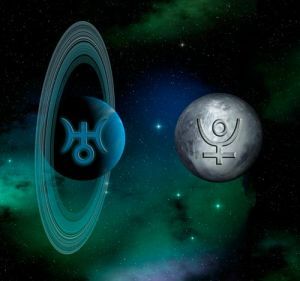 The influence of Pluto tends to be more historical and generational and Uranus being involved means contention and uprising in the “establishment”, government for needed change. We have been seeing a lot of unhappiness around the world with the people rallying against governments and law enforcement. We still have unrest in the Ukraine and Russia has been testing their limits by making a show of their armed forces close to the UK’s airspace and waters. There is the fight against ISIS and the kidnapping and killing of aid workers and journalists, the Ebola outbreak, and many protests occurring like the Anonymous Million Mask March, and recent protests in Hong Kong. The last time this transit came about, it was the UK up in arms about sweeping changes the government was pushing through. Even further back there was the rise of Hitler, the Great Depression and the Atomic Bomb. Many have been faced with social and economical forces beyond their control globally. This transit is the next to last of these big turning points in a 140 year cycle that these two planets have been making together. The start of this began in the mid-1960’s where we saw social upheaval of legendary proportions. In fact, we are still feeling that ripple effect now. Uranus is trying its best to throw that winning punch and Pluto is just not budging. Talk about being between a rock and a hard place. We have a situation where everyone is up in arms, all sides yelling to be heard and no one actually listening. This is the kind of atmosphere that wars are spawned from. We also have other players in this mess. Venus’ negotiations are bulldozed over by Mars which makes for more destruction than healing. Then we have Chiron who says that some wounds can be a good thing if it will stimulate the healing process. However, too much wounding can sabotage that healing process too. Many say that this is the kind of atmosphere that wars are spawned from. We need to keep in mind that all of this is NOT about any one religion or political regime. It’s not about a specific group and its ideologies, belief systems or philosophies. ALL groups will be subject to this rising of energy as one big collective reaction. And this is the type of dynamic whose only purpose is to narrow our focus to such a small pinpoint that it makes it impossible to see anything else around it…and we all know that kind of view never takes us anywhere positive in the end. But this can also usher in a time of innovation and positive reforms if used in the right way. With this transit, some significant change can now begin. They may come slowly but they will also have the better chance of being permanent when they happen. It seems to be triggering an awakening of higher consciousness, waking people up to the bigger picture and the connection that we all have. We all seem poised for some incredibly transformations both globally and on a personal level. Individually we can use this transit to free ourselves from bad habits, break free from people who disrupt your life, free ourselves from who push our buttons and yank our chains. We could virtually create a new life or at least a new beginning for ourselves on so many levels. So, what can we mere mortals do at a time like this?? Well, we can use this transit to observe the ways that we allow ourselves to get swept up in this kind if turmoil for a start, whether it’s personal turmoil in our lives or global. We need to stop and ask ourselves how much of our perspectives, passions and opinions are being amped up by this eruption of energy. How much of this is our own reaction to these forces and how much is down to the amount of force the “opposite” side is using to convince us they are right? Not everyone is affected in a beneficial way when they have their own feelings, thoughts and actions being affected by these collective currents flowing around them. So for the moment, just be aware and observe it. See where it is leading you and make a point of responding rather than just reacting. Question everything and let go of that belief that we just have to win no matter the cost, or that the end result will justify the means we used to get there. This is a time for us to trust in our own ability to find ways to rise above what we do and do not believe to be the truth. By doing so, we are able to see more of “what is”. Good morning on this quite chilly Sunday! Hope everyone is staying warm and your Xmas shopping isn’t driving you mental 🙂 Today we have the Sun in a trine with Jupiter that has a very supportive energy. According to the ancients this is one of the most positive transits. It assures good feelings, and peace and harmony with others. We feel the urge for growth. We feel optimistic and confident, and are more willing to speculate of take risks. But we need to be careful we don’t let over confidence have us coming off as bigger than we really are. It’s a good time for relaxing, recreation, refreshing and rejuvenating ourselves. Do the things you truly enjoy now and follow those urges to delve into something new as well if the mood hits you. We also have Venus mingling with Neptune which can open the flow of artistry, romance, creativity and faith. We find ourselves inspired as our creative Muse comes to the surface. It’s a day for letting our inner beauty shine! Now, without further ado…here is what the rest of our week looks like! Monday starts off with an early morning Void of Course Moon that will shift into Balancing Libra a few hours after, which tends to help us draw out the best in others. With this comes another Uranus/Pluto Square, a transit that astrologers have been talking about since way back in the summer of 2012 when these two started their little dance. This will keep happening until March of 2015. So what does this transit mean for us? Well the influence of Pluto tends to be more historical and generational and Uranus being involved means contention and uprising in the “establishment”, government for needed change. We have been seeing a lot of unhappiness around the world with the people rallying against governments, bad behaviour in the U.S Congress and in the police force with riots over some officers’ actions. We have one side wanting a revolution and the other side wanting to go back to older ways. This transit will be the next to last chance for bringing balance where it is needed to make big changes – balancing freedom with responsibility. We have a quiet day for Tuesday before Wednesday rolls around with an early morning Void of Course Moon. The Moon will then be entering the brooding sign of Scorpio, where we tend to want to go deeper beneath the surface of issues. Mercury will be entering the serious minded sign of Capricorn as well. 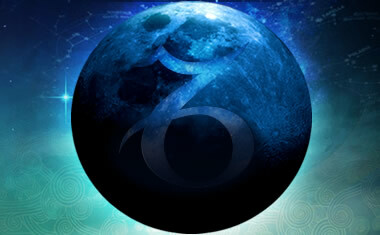 As cerebral Mercury moves into structured and responsible Capricorn it brings out it’s more analytical and focused side. This means that from now, until around January 6th, our communication will be more down to earth and more focused on practical matters. Thursday brings another quiet day and then Friday sees a late night Void of Course Moon before it shifts into adventurous Sagittarius. With the Moon in Sagittarius we feel more optimistic and energized. And we don’t want to be standing still! We want to get outside and see the sights. Kind of a good energy for getting that last minute holiday shopping done. Or you could go visit neighbourhoods that have awesome light displays up for the Yule season. Our weekend will follow along with that Sagittarius energy and wanting to get into the spirit of the season. Saturday brings us a sextile between Mercury and Neptune, which has our intuition running high. We may feel more sensitive artistically, our imagination is stirred, and we have an increased appreciation for subtleties. We feel inspired and feel able to inspire others as well. It’s a great time for literary and artistic projects! Also happening on Saturday Venus and Uranus moving into a challenging square. Under this transit we need to be careful of temptations like impulse buying and being a bit erratic with our resources. This makes things a bit tricky being the last weekend for holiday shopping. Let’s add to this a conjunction between Venus and Pluto, which is a good combo for business. But some may find themselves a bit obsessed with the pursuit of pleasure and beauty. Sunday has a lot going with the planets. For a start, it’s the Winter Solstice and the start of Yule. The Sun will move into Capricorn, where it will be joined by the Moon as we move into the 22nd. At this time we have Saturn in its last degree of Scorpio, which is an indication that a final clearing up of any old emotional issues is in order, along with healing those old wounds and connecting to our fears. It’s not just a New Year we are entering but a new level of understanding in our own belief system. We have strong earth and fire elements happening at this time, allowing us to be able to take those creative ideas of ours and draw them down into the physical realm. We have Uranus ending its 4 month retrograde cycle in Aries. This has caused areas of breakdown and breaking free from old restraints. Mars will sextile Uranus bringing higher energy levels and more enthusiasm towards work. This can help us to move forward from those old chains too. Mars is also going to be on the opposite side of the sky from Jupiter now where we can take a moment to see if our worldly actions are in line with our higher self. With Mars in Aquarius and Jupiter in Leo, this means we need to keep our hearts open but also remain a bit detached when it comes to the “drama” of the holidays (family drama seems to be a big thing during the holidays). And lastly, we have Venus in a sextile with Chiron. Although this transit lasts for only a few days, it is possible to make some progress in your healing and rebalancing efforts, although it will take some effort to make it happen. It does seem that, as we approach the last few weeks of 2014, we will be doing quite a bit of clearing out the “closets” and releasing that which no longer works or fits into our lives. Everything from belief systems to people could fall under this category. Happy Sunday all! Looks like parts of the UK are in for some wintry weather. Could we actually have a white Xmas? I guess we will have to wait and see. We have a fairly quiet Sunday in the skies with a Void of Course Moon this morning and the Moon moving into the watery and nurturing sign of Cancer this evening. Let’s have a look at what the rest of this week has in store for us. Our week begins under that nurturing influence of the Cancer Moon which makes it a good time for spending time at home or with those we feel closest to. This is also the day that Jupiter, the planet of luck and opportunity, turns retrograde in Leo. For up to a week before and after this day, due to Jupiter moving very slowly and stopping, we can experience an increase in inspiration, idealism or longing. It’s a time when our beliefs, assumptions and opinions can come under question because our understanding of the world around us, of life in general, suddenly requires further pondering. Jupiter will be in retrograde during the next 5 months, giving us plenty of time to re-examine our attitudes, biases, assumptions and judgments regarding certain situations in our lives. While Jupiter is at this station we have a bit of a turning point that can inspire us to explore, or re-explore things in a new way. We also have a conjunction between the Sun and Mercury on Monday, a time we tend to have a lot to say and feel compelled to communicate; letters, memos, phone calls, texts…messages of all kinds have a stronger impact under this aspect than usual. Tuesday is a quiet day for us but Wednesday brings the planet of Love and Money into the more serious sign of Capricorn. It’s a very combo for business but not in a social and friendly aspect. This energy will be with us until January 3rd so we can use it to accomplish things like diplomacy in family matters for example. The Moon will be entering Leo in the early hours of Wednesday bringing with it some sparky inspiration and a time for catering to our inner child. Thursday is another quiet one for us before Friday afternoon’s Void of Course Moon hits and then moves into Virgo, giving our weekend a practical tone to it. Mercury will be trine Jupiter on Friday where we may find ourselves more talkative, filled with more ideas and wanting to share these with others. It’s a really good time for stepping back in order to get a broader overview of projects we are working on, especially business related ones. Saturday brings another quiet day in the skies but we have the Sun in a trine with Jupiter retrograde on Sunday. This brings a time when our understanding of the “Big Picture” and our place within it seems to fall into place. It heightens our self-esteem and confidence, making it a “feel good” transit. Sunday also brings Venus into a sextile with Neptune where creativity, romance and artistry flow more freely. We find ourselves inspired as our creative Muse comes to the surface. It doesn’t mean that it will all come easily though! You are still going to need to apply a bit of effort and elbow grease to manifest those dreams and ideas! So this weekend is a mix of wanting to accomplish something practical while feeding our creative side.